Wimbledon is over and football has finished, so now is the perfect time to plan a last minute summer short break to make the most of this summer sunshine – or perhaps a relaxing autumn short break. These amazing Hotels have availability at some of our favourite city and countryside hotels in August, as well as throughout September and October. An 18th century country house surrounded by tranquil gardens, just 800 metres from the centre of the charming Provencal town of Aix, Le Pigonnet is the perfect destination for a late summer escape. The gardens, with their cypresses, pines and fountains were an inspiration to Paul Cézanne who sat in a corner and painted his famous views of ‘Montagne Sainte-Victoire’ in 1890. There is an outdoor swimming pool, a gastronomic restaurant and 48 bedrooms. Located on a tranquil hillside, 20 minutes from Asti and an hour from Turin, Sant’Uffizio is the perfect setting from which to discover the rolling countryside, cuisine and wines of the Montferrato and Le Langhe regions. 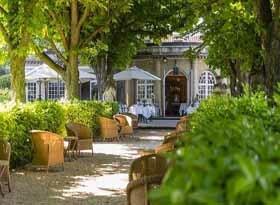 Set within a 100 year old estate overlooking Italian gardens and a large outdoor swimming pool (open May – September), it has 54 bedrooms, spa, gastronomic restaurant, cosy lounge bar and a picturesque terrace sheltered by lemon and orange trees. 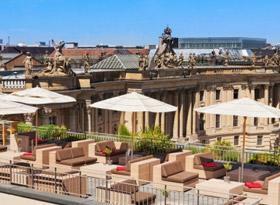 The Hotel De Rome is located just off the Unter den Linden close to the Museum Island. It has 145 bedrooms, an Italian restaurant, La Banca bar and a roof terrace with excellent views over the famous Bebelplatz. The jewel vault has been transformed into a spa with indoor swimming pool. Outstanding value for money. Located in the mediaeval centre, the König von Ungarn dates back to the 17th century. 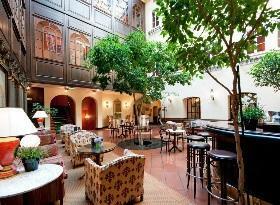 The hotel has 33 bedrooms and an atmospheric restaurant with vaulted ceiling.